SPLIT Subverted The Comic Book Origin Story And Made Empathy A Super Power | Birth.Movies.Death. Get your tickets to see Glass at the Alamo Drafthouse here. For years, studios have sought to make superhero movies that are “grounded” in reality – mostly in an effort to replicate the success of Christopher Nolan’s Dark Knight trilogy, effectively displaying a misunderstanding of exactly what made those films (or two of them, anyway) so great. Many of these efforts have led to films that fall somewhere on the spectrum between mediocrity and complete failure. Yet five years before Batman Begins hit theaters, one filmmaker had already achieved what so many would attempt in the years following Nolan’s Bat-trilogy: M. Night Shyamalan. His Unbreakable is the very definition of a grounded superhero film – a style he escalated and perfected 16 years later with Split. Although Unbreakable deserves credit for depicting a comic book-style story in a more realistic setting, Split is the superior product. Shyamalan’s 2000 film – in which Bruce Willis plays a seemingly “unbreakable” man opposite Samuel L. Jackson’s exceedingly frail comic book obsessive – is a stylistic contradiction; at turns both hesitant (owing to studio assertions that audiences were not interested in comic book movies) and heavy-handed (perhaps to compensate for the former). While it’s still a novel feature with engaging performances from both Willis and Jackson, Unbreakable lacks the boldness and, more importantly, the confidence of Split – a clever and campy psychological horror flick in which James McAvoy plays a man with dissociative identity disorder (or DID) who kidnaps a trio of teen girls, led by Anya Taylor-Joy. 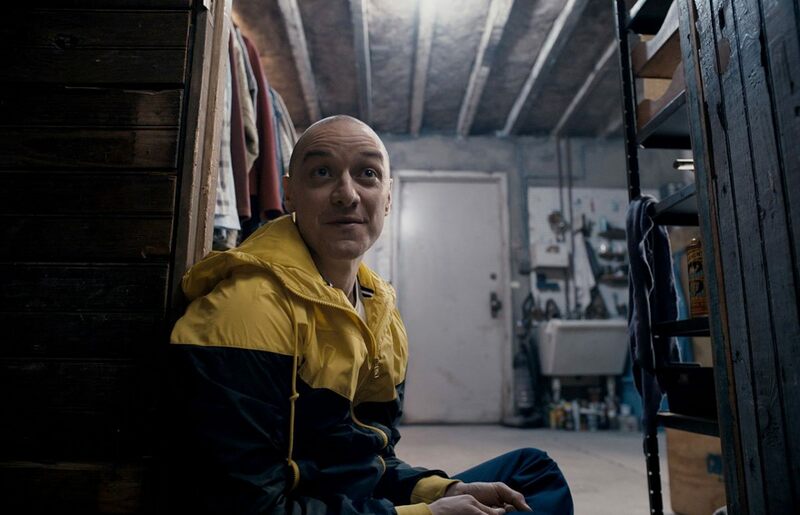 The very heart of Split resides in the relationship between McAvoy’s Kevin Wendell Crumb (and his 24 identities) and Taylor-Joy’s Casey, both of whom survived childhood traumas; Kevin was abused by his mother, who suffered from obsessive-compulsive disorder, while Casey was molested by her uncle – a daily horror that escalated following the death of her father. Kevin and Casey were both transformed by these experiences, or, in the parlance of Split, they “evolved.” Ultimately, Kevin internalized his trauma to such a degree that it fractured his psyche, which was forced to splinter into various identities to process the experience and defend him from further pain. Casey, on the other hand, emerged with psychic scars that helped her readily identify the similarly wounded. And so it’s hardly surprising that Casey – and not the two other teen girls who were kidnapped – remains relatively calm, recognizing Kevin as someone who has experienced trauma and thus must be handled differently. Further working in her favor are Casey’s childhood hunting trips with her father and uncle, where she learned to be observant of nature, weakness, and, more importantly, predators and prey. Like the lead characters in Unbreakable, Kevin and Casey operate like two sides of the same tarnished coin. To appreciate how Shyamalan’s script approaches these thematic ideas and transforms them into literal “powers,” one must understand how people interact with each other – and art. We do so with empathy, or the ability to identify our own feelings and experiences in the behaviors and lives of others. Empathy is what allows us to cry during that one scene, or laugh at that punchline. It elicits a wistful smile when we hear our favorite song on the radio. It gives us the grace to soothe others from a place of knowing that is simultaneously unfortunate and fortunate. It makes us stronger. Empathy is not learned; it is earned through every scrape and scar, both mental and material. Casey’s history of sexual abuse has made her more empathetic, more sensitive to those who have experienced trauma. Empathy is Casey’s super-power – an ability that not everyone has. But as that familiar saying goes, with great power comes great responsibility, and in the world of Split, there is no greater power than empathy. The same is true for the real world in which we live, which only lends an additional element of groundedness to Shyamalan’s film. If empathy is a super-power, then it also has the potential to be corrupted, as it is in Kevin’s case. Where Casey’s trauma has given her the gift of empathy, Kevin’s past has forced him to recede so deeply inside himself that he is unable to empathize. One could also argue that Kevin’s empathy has been heightened to such a degree that he finds it impossible to function in society, hence the two dozen identities – each representing a different dimension of his psyche, and each created to process and cope with the trauma while shielding him from the banal pain of living. All of which leads to why Dennis – the obsessive-compulsive identity, which most closely resembles your average serial killer – and his psychic cohorts have chosen to kidnap these girls. Casey was not chosen, however; she was merely in the wrong place at the wrong time (or vice versa, as the film would ultimately have it). Her acquaintances, Claire and Marcia – played by Haley Lu Richardson and Jessica Sula, respectively – were deliberately chosen because they had not been baptized by trauma and emerged “changed.” Speaking to Casey and Marcia, Patricia (Kevin’s matronly identity) explains, “You’ve always been protected. You’ve never truly suffered. And that’s why we chose you. You’ve always been asleep.” Although some might read this as a disturbingly fetishistic regard of trauma, Patricia’s words underscore Split’s most vital ideas and core themes. It is only through emotional suffering, loss, and hardship – both literal and figurative – that we learn empathy and become wiser; those who have experienced such trauma may be grateful for the ways in which we have evolved because of it, though never grateful for having been victimized in the first place. 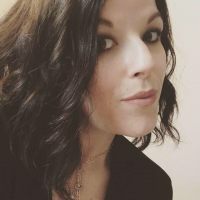 As a survivor of sexual, mental, and physical abuse, I can say without hesitance that I am thankful for the person I have become because of the pain I endured – even though I wish like hell that none of it had ever happened to me. But this is what makes Casey’s character heroic in a manner that is “grounded” and ultimately relatable: She is every one of us who has emerged from victimhood as a survivor – smarter, more empathetic, more sensitive to those who are hurt, more capable of identifying the predator and the prey. It is horribly unfortunate, and yet she would not be the person she has become – the superhero – without having lived through it. On the flip side of that coin is Kevin and “The Horde” – the more nefarious of his two-dozen identities. Their fetishistic reverence of trauma is repeated in the third act, when they declare “Only through pain can you achieve your greatness! The impure are the untouched, the unburned, the unslain. Those who have not been torn have no value in themselves and no place in this world. They are asleep.” Patricia, Dennis, et al. have become empathetic extremists, for lack of a better term. They have come to believe that those who live through trauma are enlightened, evolved beings, and while there is a nugget of truth buried in that extreme logic, it only further highlights the idea that Kevin’s empathy – or his perception of it – has been corrupted. In a certain respect, this makes Kevin a tragic figure. That’s something Shyamalan clearly believes, as evidenced by the moment in the third act, when the real Kevin breaks the surface of his myriad identities and begs for Casey to kill him – not to be put out of his misery, but to prevent his identities from hurting anyone else because, as another familiar saying goes, hurt people hurt people. Or they can, and sometimes do victimize others in ways that reflect how they were once victimized. But what The Horde fails to recognize is that Casey isn’t special or “superior” merely because she’s lived through trauma. What ultimately makes Casey super-heroic is something that takes us back to the ways in which we interact with other people – and art. It’s the intersection of individual and shared experience. Casey is only able to survive and defeat The Beast (Kevin’s animalistic, bloodthirsty identity) because of the lifetime of specific experiences, feelings, and opinions that make her an individual. All of those things inform how Casey behaves, how she interacts with others, and how she might interpret pieces of art – like a movie, for instance. Empathy can arise from pleasant experiences, like Casey’s hunting trips with her dad. Unfortunately, The Horde does not see value in these positive elements that were clearly absent from Kevin’s life; instead, they exalt pain and trauma with religious zeal to the point where they’ve willed their own godlike deity into existence so that they may worship at his feet and commit murder in his name. They fail to understand that it’s not what happens to you that matters – it’s what you do with those experiences. Empathy is just a part of it. In this case, it happens to be the most important part.